This tutorials tells you how to share an app with a contact so they may download it to their iPad. 1. 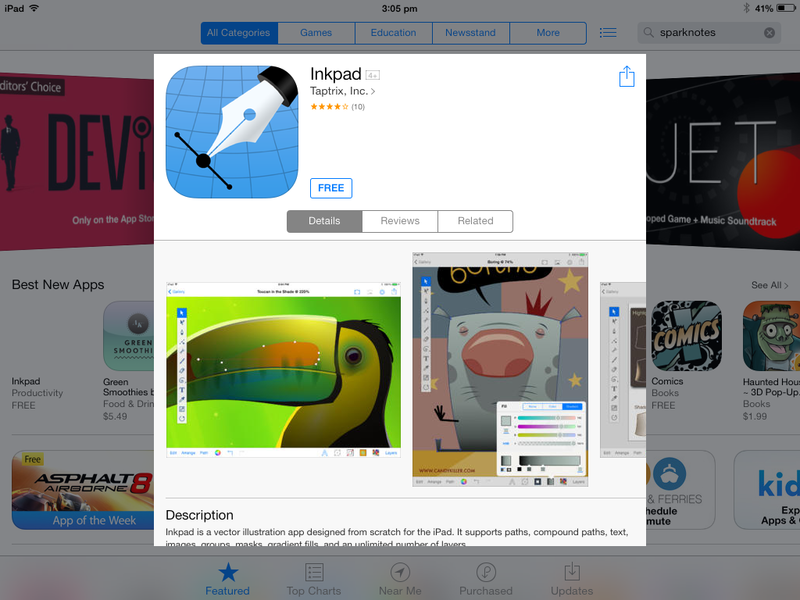 Tap on the App Store icon from your home screen. 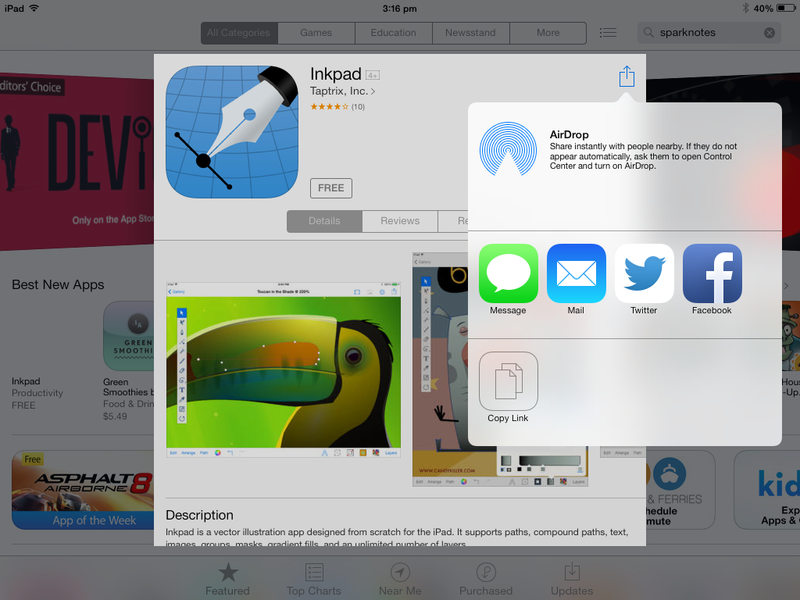 Search for the app you wish to share using the search bar in the top right hand corner. 2. Tap the “Share” icon located in the top right hand corner of the details window as shown below, depicted by a small blue box with an arrow pointing upwards from its centre. Then choose the method you will use to share the link to the app. 3. Once you have chosen a sharing method, select a contact from a pre-existing contact or type contact details in the text areas. You may wish to accompany this with a message. Tap “Send” in the top right corner to finish. 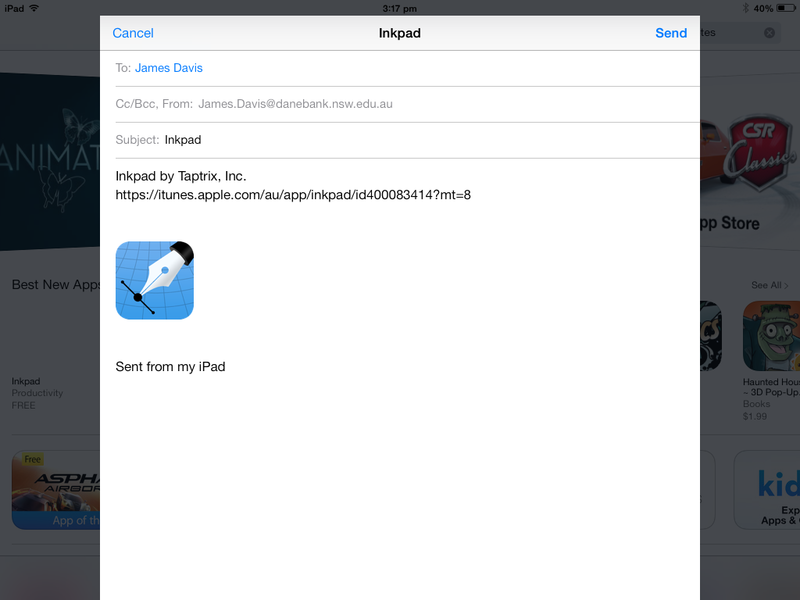 This screenshot shows what it might look like to share an app with a friend using email.